Love A Child provides quality health care for the most vulnerable populations in Haiti, including children, the elderly, pregnant women, and those that are chronically ill. In a country where there are only 25 doctors per 100,000 people, we focus on long-term solutions of preventive medicine, education, sanitation improvements, and medical missions (Community Health Care) outreach. As part of our outreach to rural communities, we offer vaccinations for children, as well as monitor malnutrition in babies and young children. Additionally, we offer classes in hygiene, malnutrition prevention, women’s health, birthing, and child care. Through education, we are able to help Haitian men and women understand the manifestation of poor health care and what they can do to improve the health of their children and themselves. Families that receive medical care typically have no money, very little food and live in extremely remote areas. 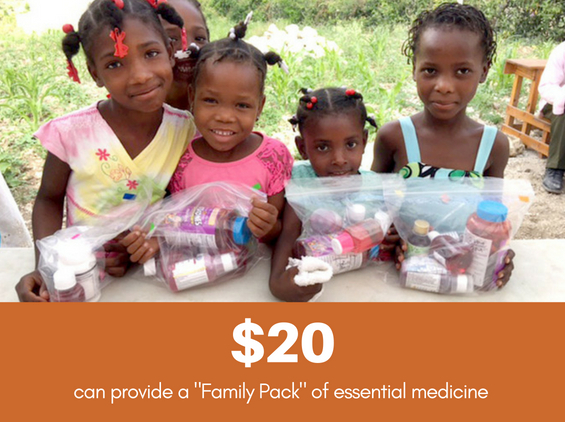 Most of the Haitians in the areas we serve have never even seen a doctor in their lifetime. If it were not for the medicine and compassionate care we provide, common ailments left untreated would be life-threatening. Every day, in addition to seeing many patients, our Jesus Healing Center clinic handles emergency cases, everything from motorcycle accidents to children and babies in life-threatening situations. The Jesus Healing Center also cares for patients with chronic and debilitating illnesses who must see a specialist monthly. We even provide transportation for several patients to see specialists in the Port-au-Prince area. Those living in poverty have such great need in Haiti. We ask that you please consider reading more about our work by clicking through to our dedicated pages on health care provision below, and/or help us change lives throughout Haiti with your donation today. Love A Child is considered the most trusted source for health care in the Ouest region of Haiti. It is one of the more challenging outreaches we do, but we have been able to make a difference to the people of Haiti on so many different levels. While malnutrition is one of the leading causes of death for children in Haiti, LAC works with parents to provide education, specialized food and care to save lives at the Malnutrition Center. We make several trips into the "regions beyond" each year to bring Mobile Medical Clinics to people who live in remote areas of Haiti, many of them have never seen a doctor. We are so fortunate to have many medical professionals who volunteer their time to come all the way to Haiti to care for the very poor.